InXile Entertainment boss Brian Fargo says the Wasteland 2 beta should in the hands of Kickstarter backers in less than three weeks. Work on Wasteland 2 seems to be proceeding apace, as the Kickstarter backer-exclusive beta is just a couple weeks away. "We feel confident of it's release within 2.5 weeks as we nail down blocker bugs and dial up messaging to make things clear. I'm really looking forward to the feedback of our beta backers," Fargo wrote on inXile's Wasteland 2 forum. "Thanks for all your patience." 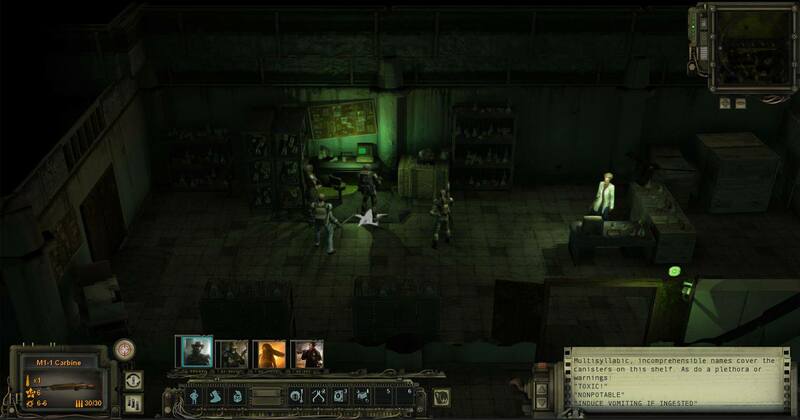 InXile also released a new Wasteland 2 screen showing the interior of the central complex, "which is heavy on atmosphere and flows much differently than the outside locale." There's a real Fallout vibe to it, which isn't entirely unexpected given the connection between the two series: Interplay created Fallout as a "spiritual successor" when it couldn't get the rights to Wasteland. The looming beta could be seen as suggesting that a full launch isn't too far down the road, but Fargo said on Twitter that's not necessarily the case. "We won't set a full release date until we work through the beta without backers," he wrote. "Ultimately we are making this game together."